On October 25 /26 the Alexander von Humboldt Institute organized the 1st Berlin Colloquium on Internet und Society. All of its topics were aligned to our new research agenda and its main research areas Internet and Media Regulation, Internet Policy and Governance, Internet-enabled Innovation and Global Constitutionalism and the Internet. This series of posts introduces all presented research projects of the colloquium and is authored by the doctoral candidates of the Institute. Sabine Thürmel from the TU München reported on the subject „The participative turn – constellations of distributed and collective action“. She focused on the interactions between humans and machines and claims that the possibilities of cooperation and interaction between humans and machines are extended and supported by means of software-controlled systems. Thürmel distinguishes between the interaction in material (service robots, robopets) and virtual environments (software agents). The presentation was followed by a vivid discussion about the meaning of the terms cooperation, interaction and participation. In the current use of software-controlled systems there is more of an interaction rather than a participation between humans and machines. In this context, it would have been an interesting question whether robots prospectively will be equipped with cognitive abilities similar to those of humans and whether a development from a human-machine-interaction towards a human-machine-participation is possible. During the second presentation Julia Hauck from the University of Erfurt talked about the current state of her thesis on the subject “A question of trust: The development of a model about trust from the user perspective in online-Communities”, using “mitfahrgelegenheit.de” as an example. Hauck defines online-trust as an attitude with a confident expectation in risky online-situations, so that nobody can take advantage of the users vulnerability. 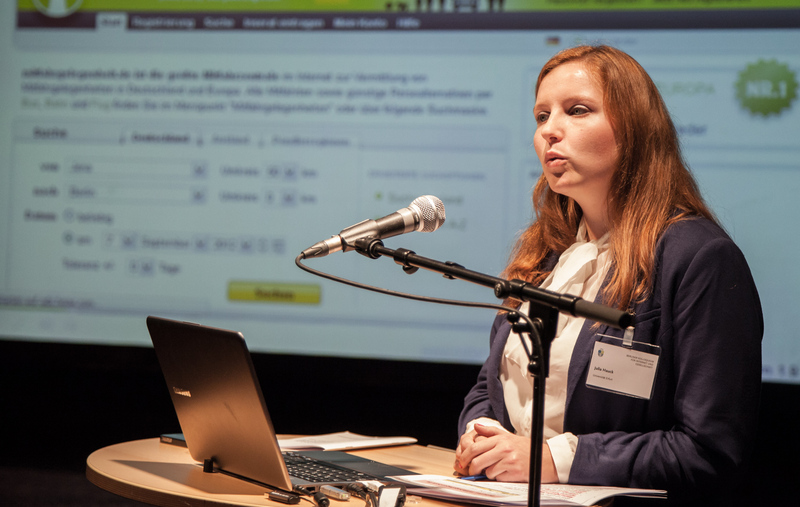 Due to different subjective levels of trust, online participation in the „mitfahrgelegenheit.de“ community has an impact on actions in the offline world. The aim of her thesis is to determine important contextual influences and user characteristics that are relevant for the process of developing trust in online-communities.